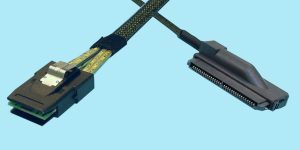 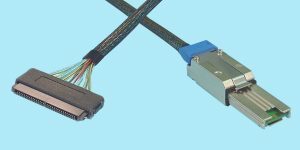 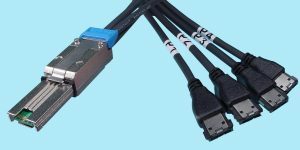 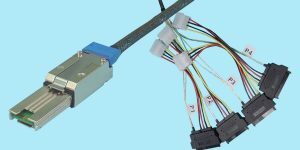 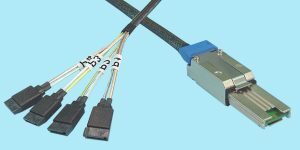 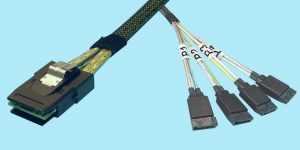 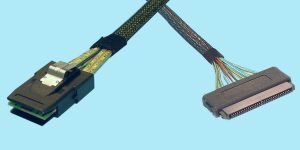 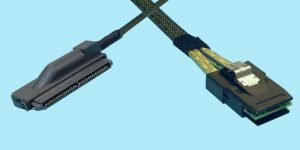 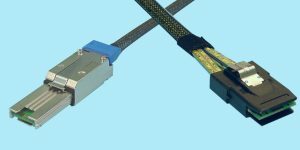 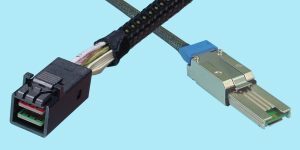 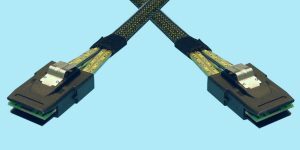 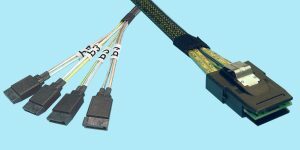 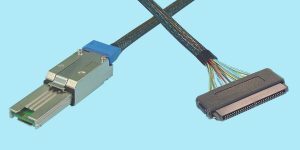 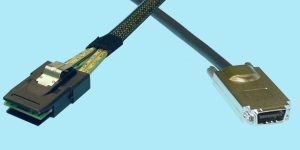 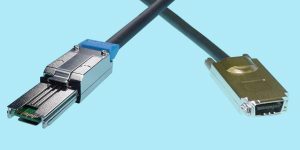 CS Electronics STOCKS a wide variety of Mini-SAS Cables in varying cable lengths and connector configurations. 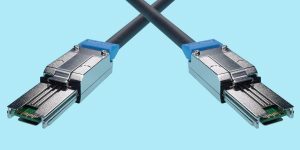 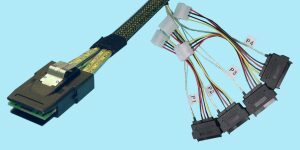 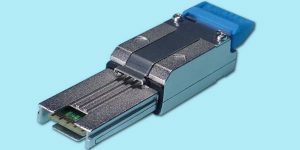 The primary connectors for interfacing Mini-SAS cables are the 26-pin SFF-8088 (External), and the 36-pin SFF-8087 (Internal) connectors which both support up to 4-ports (4 lanes) of SAS data, but we also STOCK these cables w/ other connectors such as the SFF-8470, SFF-8482, 7-pin SATA, SFF-8484, and eSATA. 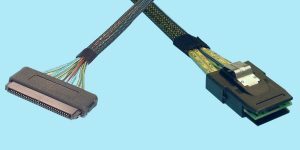 Many lengths and hybrid configurations are available from STOCK. 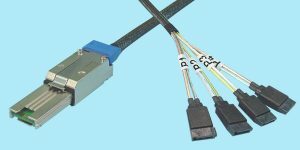 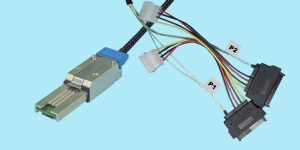 CS Electronics has incorporated these connectors both in cable assemblies and on I/O & Drive T-Card adapters.